Over the course of the summer, my little family of four took a road trip through the south. Needless to say, I enjoyed eating a lot of grits. They were the most basic of grits– served as sides or a main meal. There wasn’t much to them and they were delicious. Once home from our 14 day excursion, what was on my mind? Grits…. and more grits. 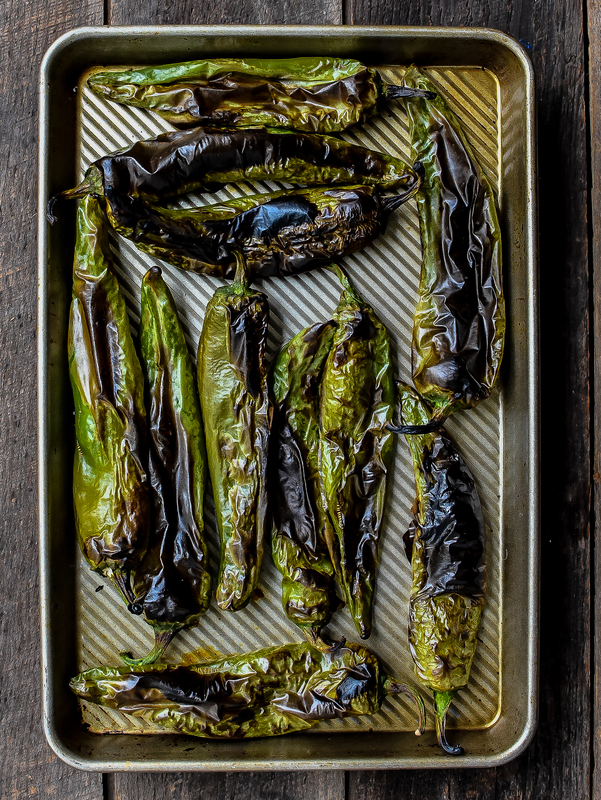 This grits craving just so happened to be close to one of my favorite seasons of the year, Hatch green chile season (to read one of my favorite Hatch memories, click here) and the two seemed to be a match made in heaven. Market Street rolled out Hatch season like a pro this year, and where was I on opening day? You guessed it, getting my annual case of Hatch chiles! I had visions of Hatch Green Chile Grits for about 2 weeks at this point and the time had come to make all my dreams come true. 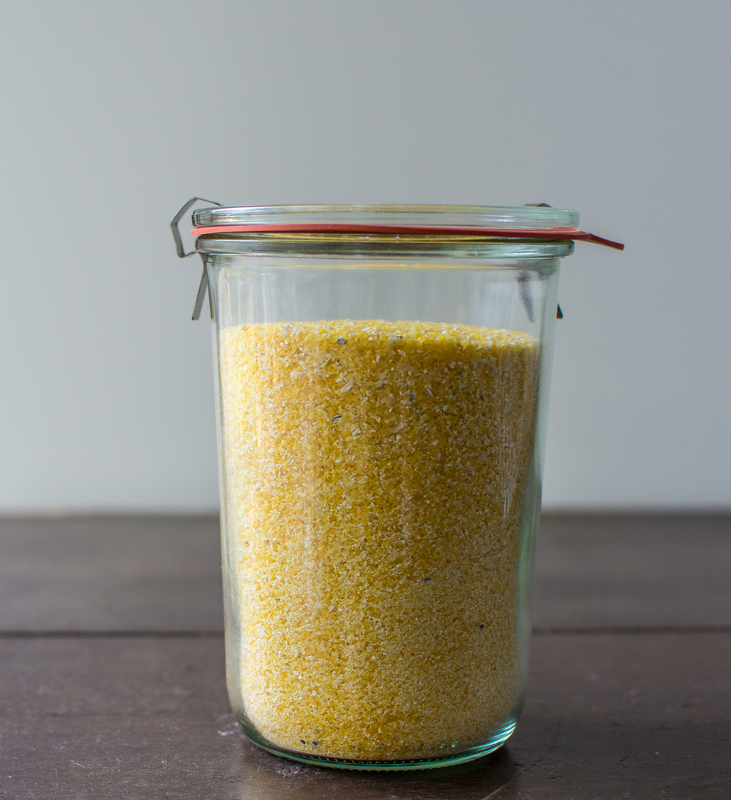 I wanted to stay true to the style of grits I ate over the summer, full of corn flavor. Any ingredients that would accompany it would be fresh and seasonal. Market Street had exactly what I needed: New Mexico chiles and fresh Texas summer corn. The method of grit preparation and cooking comes from Lowcountry chef, Sean Brock. His approach is to soak the grits over night in water to not only infuse the cooking liquid with corn flavor but to also minimize cook time. Genius. A bit of butter, salt and lemon juice are the only other items needed for his grits. 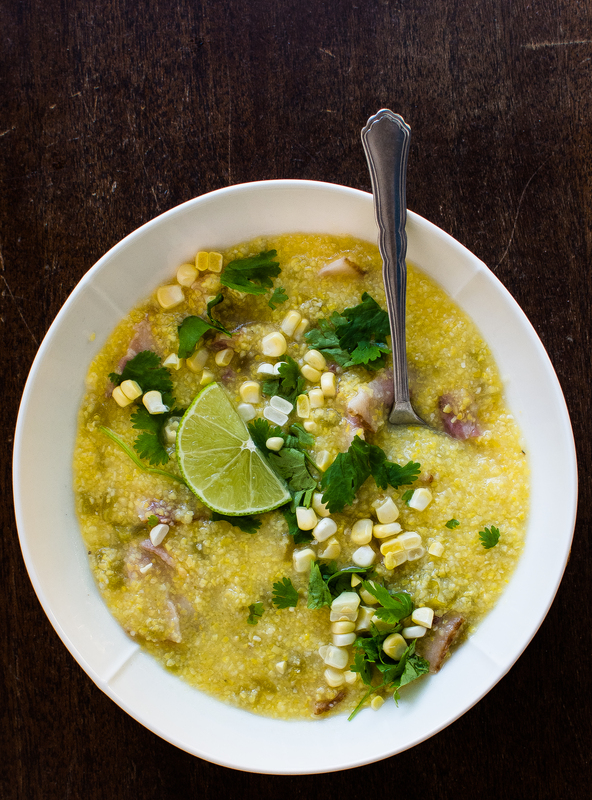 However, the Hatch chile grits include a few more things: roasted hatch chiles, a bit of bacon and a sprinkling of corn and cilantro on top. Grits and Hatch Green Chile fans rejoice– this meal is for you! Author note: The method of preparation of grits comes from Sean Brock’s cookbook Heritage. The measurements of salt, lemon juice and butter have been adjusted to my own preference. There is no cheese in these grits, however, white cheddar or gruyere would be an excellent addition. Add salt, lemon juice, butter and Hatch chiles. Stir well. 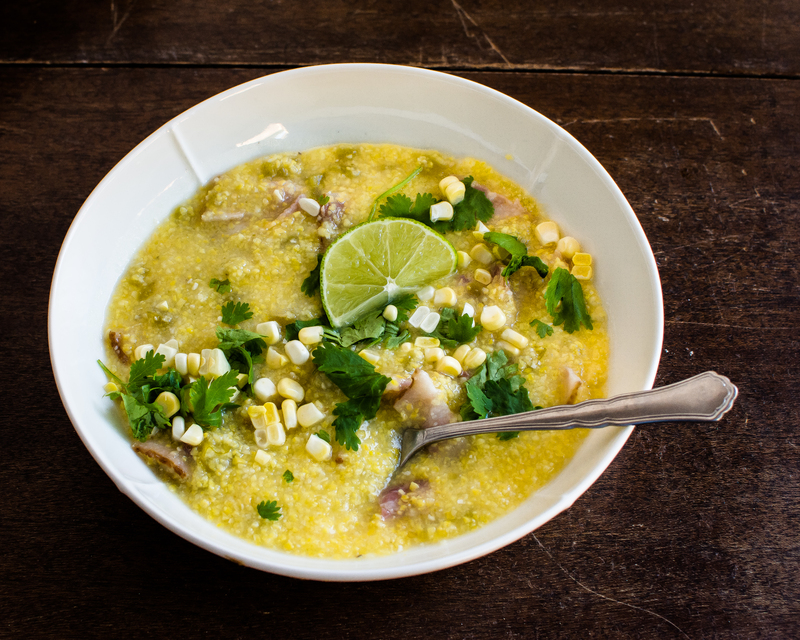 Top with bacon, corn and cilantro. Serve warm. This entry was tagged A Pleasant Little Kitchen Hatch chile grits, A Pleasant Little Kitchen hatch chile recipes, dallas food blog, dallas food blogger, green chile grits, hatch chile grits, Hatch green chile grits, texas food blog, texas food blogger, unique grits. Bookmark the permalink. Thank you! It’s delicious! I hope you can make it soon.